At the ITIV we are researching, implementing and integrating so called trigger mechanisms on FPGAs for Belle II. These are deciding over the readout of the detector during the collisions. A significant part of that system is using algorithms based on machine learning for example neural networks. 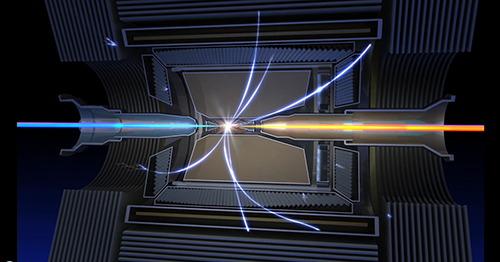 These are typically trained and calibrated with a set of data representing the behavior of the particle accelerator at a certain point in time. To achieve optimal performance several sets are predefined and used, resulting in different calibrations of the algorithm. These calibrations have to be loaded dynamically in low latency during runtime depending on the current status of the collider. For that FPGAs offer several approaches for example dynamic partial reconfiguration. The task of this thesis is to investigate the possibilities. The main task of this thesis is the investigation of suitable reconfiguration management concepts for machine learning algorithms on FPGAs. These concepts shall be prototyped and evaluated based on Virtex Ultrascale FPGAs.